Indoor environmental quality (IEQ) is related to many factors resulting from continuous interaction between location, building characteristics, installed heating, cooling and air conditioning systems and user specifics. Many recent studies claim that socioeconomic status of the household has a significant effect on IEQ. A cross-sectional questionnaire-based study was conducted in order to assess the possible correlations between socioeconomic status and perceived IEQ in Slovenian households (n = 714). Information on these is an aid in defining recommendations towards comfortable and healthy indoor environments. The unit of observation was a household in Slovenia, reported by an individual member. The study period was May–July, 2017. The survey consisted of 36 questions, divided into five sections: personal and demographic details, characteristics of households, energy efficiency, self-perceived IEQ, occupant behaviour, everyday activities for improving IEQ. Response rate was 64.9%. An univariate statistical analysis was followed by a Chi square test. The analysis showed that there exist a correlation between socioeconomic status of households and perceived IEQ. No correlation was found between socioeconomic status of households and performed energy efficiency measures, whereas improved building energy efficiency contributed to higher level of perceived IEQ in households. Opposite to scientific findings, the most important reason for investing in energy efficiency measures was found to be the reduction of energy consumption and not the improvement of IEQ conditions. The findings are important not only for single renovations, which should be primarily aimed at ensuring quality indoor environment, but also for determining policies and strategies at the national level, taking into account the socioeconomic indicators. The authors acknowledge the financial support from the Slovenian Research Agency (Research Core Funding No. P2-0158, Structural engineering and building physics). EEA—European Environmental Agency. (2017). Household energy consumption. Retrieved April 5, 2018, from https://www.eea.europa.eu/airs/2017/resource-efficiency-and-low-carbon-economy/household-energy-consumption. EnKlikAnketa. (2016). Splošen opis. Retrieved November 23, 2016, from https://www.1ka.si/d/sl/o-1ka/splosen-opis. EP—European Parliament. (2016). Energy poverty: Protecting vulnerable consumers. Retrieved April 5, 2018, from http://www.europarl.europa.eu/thinktank/en/document.html?reference=EPRS_BRI(2016)583767. EPEE—European Fuel Poverty and Energy Efficiency. (2010). Fuel poverty in Europe. Retrieved March 27, 2018, from https://ec.europa.eu/energy/intelligent/projects/sites/iee-projects/files/projects/documents/epee_european_fuel_poverty_and_energy_efficiency_en.pdf. Eurostat. (2015). People in the EU—Statistics on housing conditions. Retrieved June 29, 2017, from http://ec.europa.eu/eurostat/statistics-explained/index.php?title=People_in_the_EU_-_statistics_on_housing_conditions. Eurostat. (2016). Urban Europe—Statistics on cities, towns and suburbs. Retrieved December 27, 2018, from https://ec.europa.eu/eurostat/statistics-explained/index.php?title=Urban_Europe_%E2%80%94_statistics_on_cities,_towns_and_suburbs. Eurostat. (2017). Housing conditions. Retrieved March 27, 2018, from http://ec.europa.eu/eurostat/statistics-explained/index.php/Housing_conditions. Fuel Poverty EU. (2013). Energy poverty in the EU. Retrieved March 27, 2018, from http://fuelpoverty.eu/wp-content/uploads/2013/06/Final-energy-poverty-policy-brief-EU-Energy-Week-13.pdf. Intihar, S. (2016). Income, poverty and social exclusion indicators, Slovenia, 2016. Retreived January 27, 2017, from http://www.stat.si/StatWeb/en/News/Index/6757. Pye, S., Dobbins, A., Baffert, C., Brajković, J., Grgurev, I., Miglio, R., & Deane, P (2015). 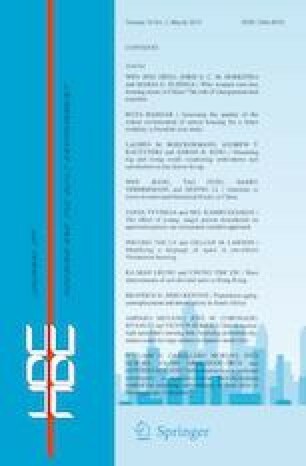 Energy poverty and vulnerable consumers in the energy sector across the EU: Analysis of policies and measures. Retrieved March 27, 2018, from https://ec.europa.eu/energy/sites/ener/files/documents/INSIGHT_E_Energy%20Poverty%20-%20Main%20Report_FINAL.pdf. Rutar, T. (2016). V 2015 so gospodinjstva porabila za energente v povprečju 6.7% vseh svojih razpoložljivih sredstev. Energetska revščina. Slovenija. 2015. Retreived March 27, 2018, from http://www.stat.si/StatWeb/News/Index/6319. Velux. (2015). Healthy homes barometer 2015. Retrieved April 5, 2018, from http://www.velux.dk/~/media/marketing/master/documents/pdf/brochures/velux_hhb_18032015.pdf. Velux. (2017). Healthy homes barometer 2017. Retrieved April 5, 2018, from http://velcdn.azureedge.net/~/media/com/health/healthy-home-barometer/507505-01%20barometer_2017.pdf. Vrtar, S. (2015). The influence of energy certificates on market value of residential houses. University of Ljubljana. Retrieved January 27, 2017, from https://repozitorij.uni-lj.si/Dokument.php?id=86309&lang=slv. WHO—World Health Organization. (2012). Environmental health inequalities in Europe. Retrieved March 27, 2018, from http://www.euro.who.int/__data/assets/pdf_file/0010/157969/e96194.pdf?ua=1. WHO—World Health Organization. (2017). WHOQOL: Measuring quality of life. Retrieved April 5, 2018, from http://www.who.int/healthinfo/survey/whoqol-qualityoflife/en/.